The 2018 NRSM, sponsored by the USNC-URSI, was held Thursday through Sunday, January 4 through 7, in Boulder, CO. The URSI-URSI supported the travel of 127 students going to this year's NRSM. 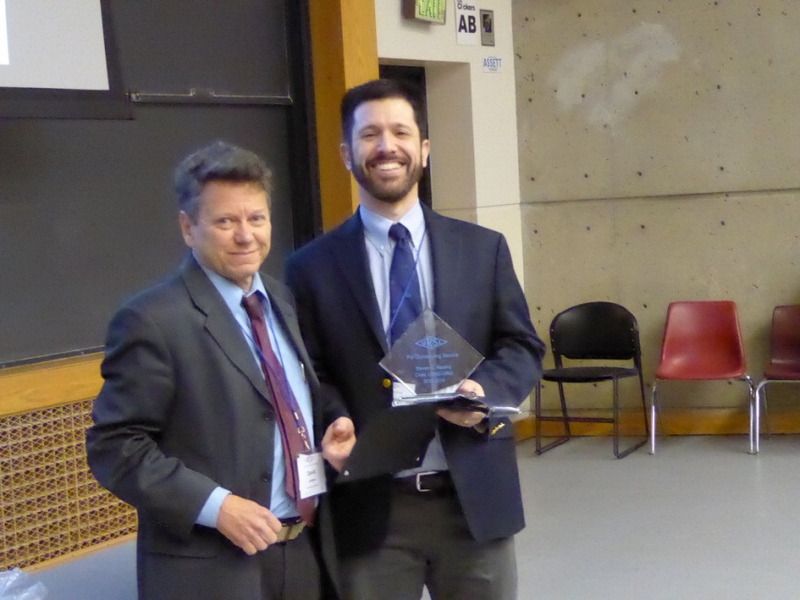 The fifth Hans Liebe Lecture was given at the 2018 NRSM by Dr. Maria P. Cadeddu of the Argonne National Laboratory. Her talk was titled "Spectroscopy and Remote Sensing Studies with the Atmospheric Radiation Measurement (ARM) Ground-based Microwave and Millimeter-wave Radiometers: A Review of Accomplishments and Recent Challenges.". Click here for more information on the Hans Liebe Lecture series. Paper Title: "A balun-free hybrid helix/monopole antenna for microwave ablation"
Paper Title: "A novel flexible electro-textile 3T MRI RF coil array for stroke prevention: Design, characterization, and prototyping"
Paper Title: "Comparison redundant and sky model based interferometric calibration: A first look with phase II of the MWA"
For the 32nd time since the inception of URSI, Radio Scientists from across the world gathered for the URSI General Assembly and Scientific Symposium on August 19-26, 2017 in Montréal, Canada. 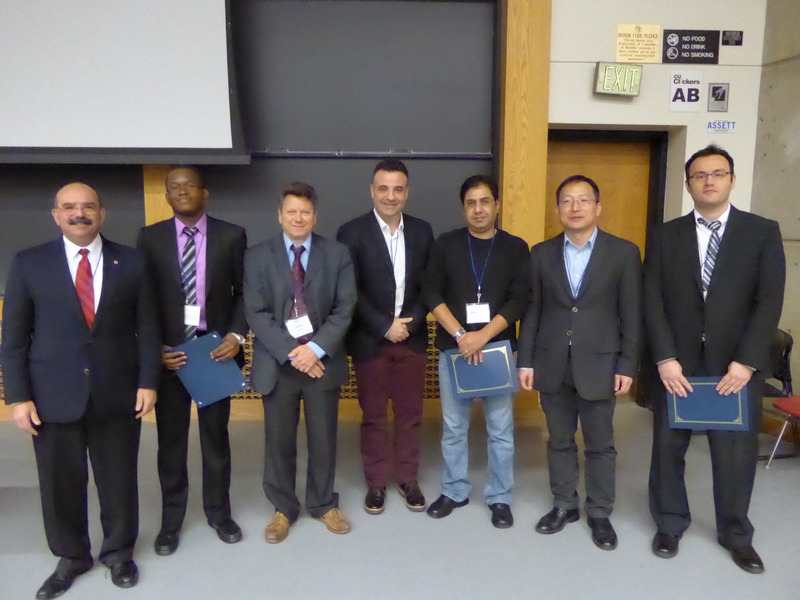 This event was a unique opportunity to learn about recent advances in all fields of Radio Science, as covered by all ten URSI Commissions. URSI additionally announces the recipients of three prestigious awards. The Santimay Basu prize was awarded to Dr. Jamesina J. Simpson, Associate Professor at the University of Utah, Salt Lake City. Dr. Lotfollah Shafai, Distinguished Professor at Canada's University of Manitoba received the Booker Gold Medal. And Dr. John Pendry, Professor at Imperial College London in the UK, received the John Howard Dellinger Medal. The USNC-URSI hosted two events at the URSI GASS. The first was a U.S. Reception for all U.S. attendees at the GASS on Tuesday, August 22. The second was a Mentoring Luncheon for graduate students and early careers, on Wednesday, August 23, which five U.S. students were invited to attend. Professor Piergiorgio Uslenghi (University of Illinois, Chicago) was elected as one of URSI's newest vice presidents. The USNC-URSI congratulates Dr. Uslenghi on starting his term with URSI. For more information on GASS 2017, please visit the website: http://www.ursi2017.org/welcome_e.shtml. The most recent annual National Radio Science Meeting (NRSM) was held from Wednesday, January 4 through Saturday, January 7 in Boulder, Colorado. The meeting offered Student Travel Grant awards to both graduate and undergraduate students, and featured the 120 Ernest K. Smith Student Paper Competition. This open scientific meeting was sponsored by the USNC-URSI. Through technical co-sponsorship of the meeting by the IEEE Antennas and Propagation Society, the authors of summaries that were presented at the meeting had the option of archiving their summaries on IEEE Xplore. The USNC-URSI awarded a total of 106 travel fellowships to Boulder. On Wednesday, January 7, the committee held a student luncheon and a Reception for Women in Radio Science. Sixteen women attended the reception, and were able to network and exchange their experiences working in a highly male-dominated field. 1st Place -- Luz Maria Neira, "Investigation of High Resolution Microwave Breast Imaging Using a 3-D Inverse Scattering Algorithm with a Variable-Strength Spatial Prior Constraints"
2nd Place -- Jeffrey S. Jensen, "A Cognitive Spatial Learning Control System For 3-Dimensional Random Arrays"
Steven C. Reising (right) receives an Outstanding Service Award from the Chair of USNC-URSI, David R. Jackson (left), for his three years of dedicated service as the previous Chair of USNC-URSI. David R. Jackson, Erdem Topsakal, Mohammad A. Salem, Ningyu Liu, Ersin Yetisir.